Get 5 Safe Driving Points Or Fulfill Your Mandatory Requirements Today! 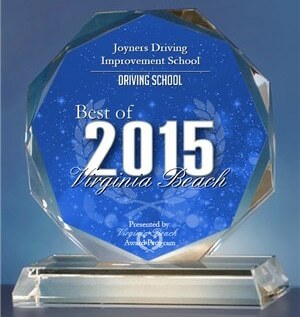 We’re Voted The #1 Defensive Driving Program In Hampton Roads. We serve students in Norfolk, Virginia Beach, Chesapeake, Suffolk, Newport News, Portsmouth, and surrounding areas. Book Class Now! Road Test Car RentalNeed A Lawyer? Nobody knows driver safety training like Joyners Driving School. 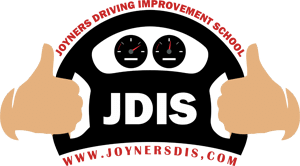 Joyners Driving School has created an entertaining defensive driving course that has changed the way students view defensive driving classes. Motor vehicle collisions are the leading cause of death and injury in the workplace and the cost of a single accident could easily exceed $1.4 million. A defensive driver safety program can reduce risk and keep people safer on the road. Drug and alcohol abuse and safety. Pedestrian, bicycle, and motorcycle safety and awareness. 36 periods of classroom instruction. Once you complete the course, a completion certificate will be submitted to the VA DMV and provided to you by your instructor. If you are younger than 18 years old, your parent will need to sign the certificate before you can obtain a Virginia driver’s license. Contact your local Virginia DMV for more information.